Vélez Sarfield are currently building towards 2018 under new manager Gabriel Heinze but will have to do so without the talents of Maximiliano Romero after the striker completed his €10.5 million transfer to Dutch giants PSV on Thursday. The 18-year-old had been on the brink of joining Bundesliga club VfB Stuttgart, and most recently linked with Borussia Dortmund, but PSV have finally sealed a move that has been a long time coming for Romero despite his young age. Romero put pen to paper on a contract which will keep the striker at the Philips Stadion until 2023. 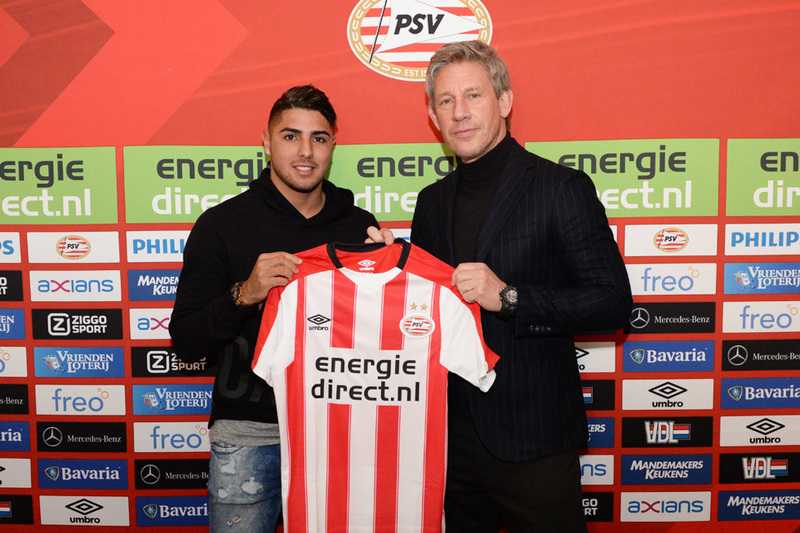 “PSV is my first club outside Argentina and it is a great way to gain experience. After consulting my father and agent, I have decided to continue my career abroad. I’ve scored a lot of goals for Vélez in Argentina, so I hope I can do it here as well and please the fans,” Romero told PSV’s official website. Manager Phillip Cocu was obviously thrilled to be adding a young player tipped for great things since before even making his senior debut for Vélez. PSV’s scouts are certainly not alone in taking notice of Romero and had it not been for a serious knee injury, the teenager may have joined Arsenal in 2015. At this stage Romero was merely a talent from the Vélez academy yet to graduate to the first team but since recovering and staking a claim in the senior ranks, the powerful centre forward has lived up to his hype. In what has been a desperately poor Vélez side, battling against relegation, Romero has still stood out and while his eighteen goals from 39 appearances, including four this season, may not sound remarkable it is worth taking into consideration his age, the ACL injury, the state of Vélez and many appearances before this term were as a substitute. Strong and powerful, Romero can play with his back to goal and contribute to link up play but is at his best in the penalty area. A good finisher off both feet and accomplished in the air, the 18-year-old occupies the central defenders and given good service should find the net. There is no doubting that the first step up to European football is a significant one and for all the potential that Romero has shown for Vélez there is now a sense of anticipation to see just how far he can develop. PSV seem like the ideal club for the young striker to get much needed game time and with the improvement in those around him, it is time for El Tigre to show what he is capable of. ← Does Pochettino take the blame for Spurs’ away day blues?